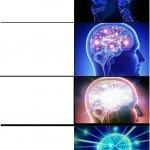 I hope this makes it to first page. 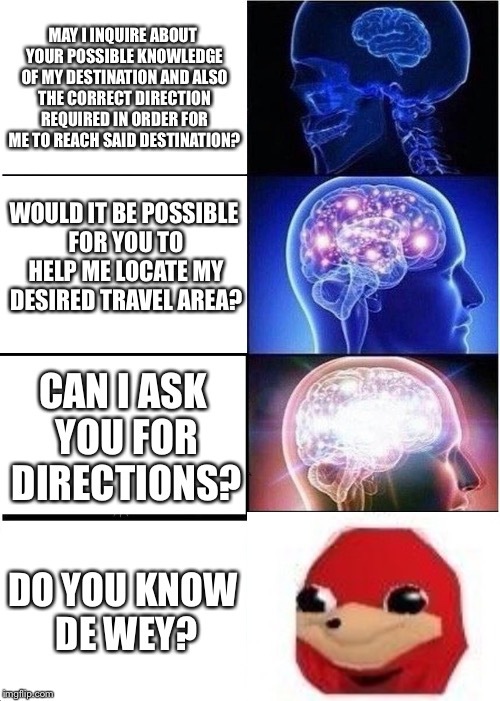 MAY I INQUIRE ABOUT YOUR POSSIBLE KNOWLEDGE OF MY DESTINATION AND ALSO THE CORRECT DIRECTION REQUIRED IN ORDER FOR ME TO REACH SAID DESTINATION? WOULD IT BE POSSIBLE FOR YOU TO HELP ME LOCATE MY DESIRED TRAVEL AREA? CAN I ASK YOU FOR DIRECTIONS? DO YOU KNOW DE WEY?